On top of the animal farm, Espoir Jeunes aims to generate revenue by growing multiple crops around the animal farm. 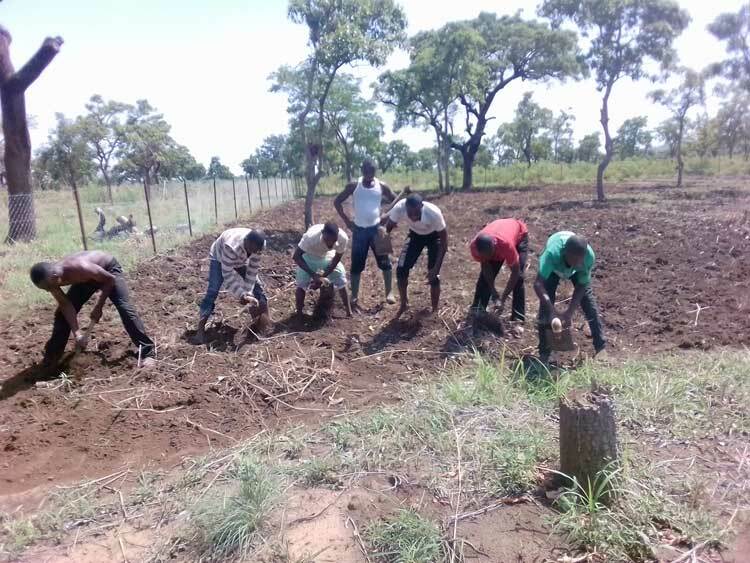 Currently, we mainly grow corn and beans, however we have initiated the first steps towards growing vegetables and fruit (mainly mangos and papaya). The objective of the corn plantation is mainly to provide the necessary feed for the pigs and chicken, while the vegetables and fruit would mainly be sold at the local market. To our great joy, the local underground is rich in water. Having built two water pumps, our fruit and vegetable project will leverage these already existing water sources through innovative irrigation systems (drip irrigation), allowing for optimal use of water and maximal output of vegetables and fruit.